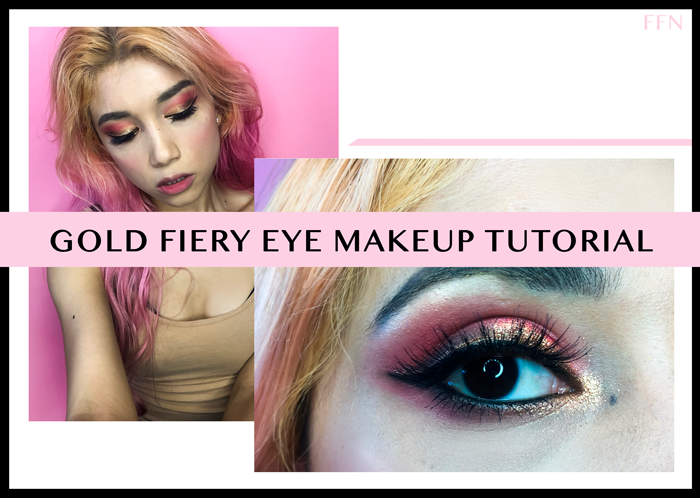 Gold Fiery Eye Makeup Tutorial | Fashion Fab News - fashion, beauty, celebrities, designers . If you are following me on Instagram @fashionfabnews, you have probably seen my first pictorial. A pictorial is a series of photographs with an explanation of every step needed to be done to recreate a makeup look. I wanted to include the tutorial here as well for all of you, in case you miss it on Instagram. While I was testing my Touch in Sol - Shadow, liquid foil duo, I came up with this makeup look. 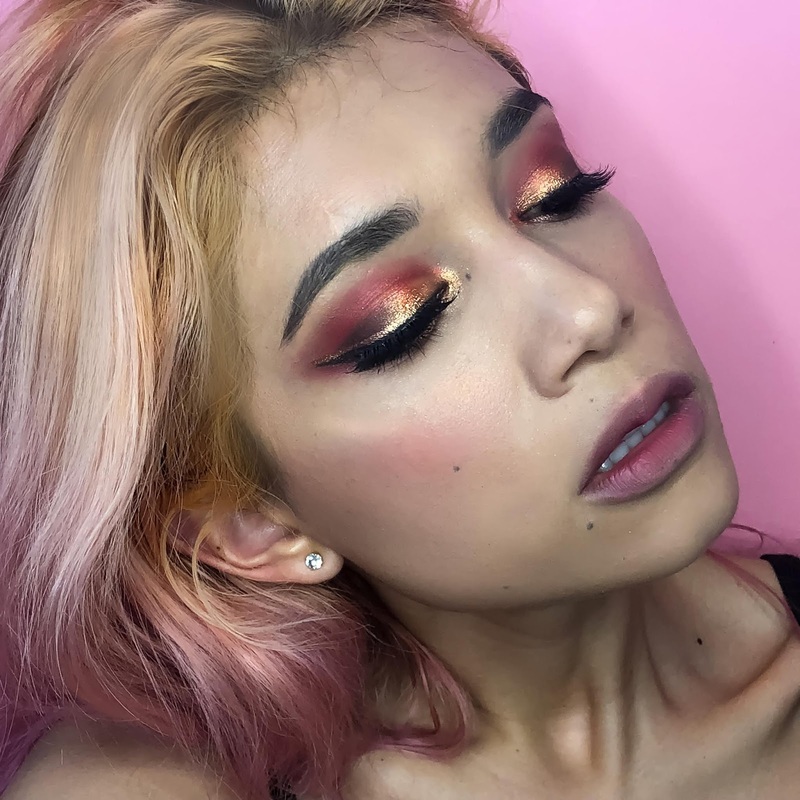 I hope you like it, don't forget to comment and subscribe to my Youtube channel for more makeup and fashion content. 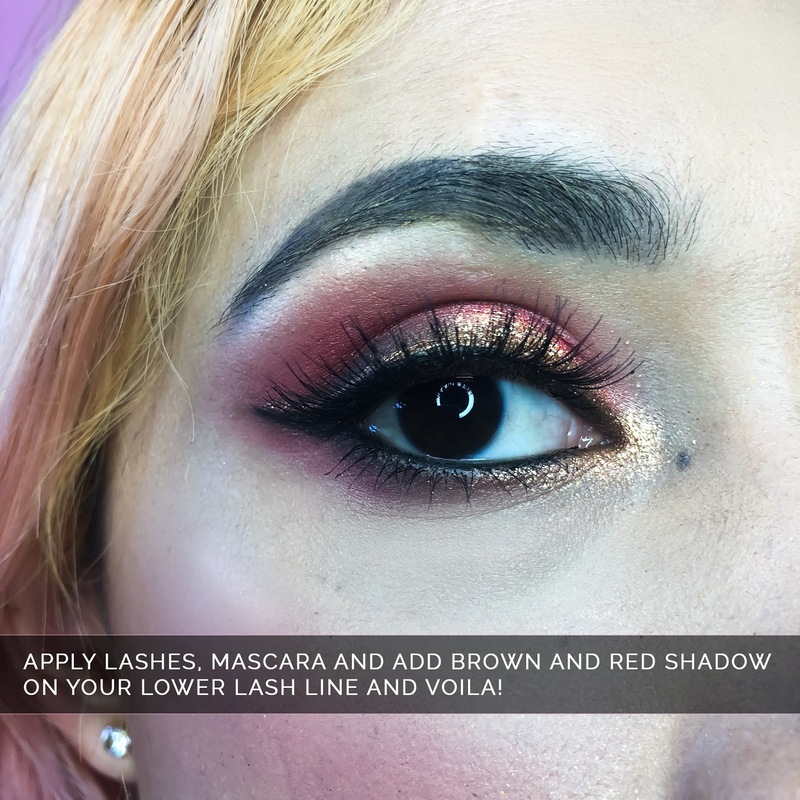 Red: Swoon shadow - Kat Von D x Too Faced Palette. Browns: Samael, Shax - Kat Von D Shade Nd Light Palette. Glitter: Touch in Soul Metallic Liquid Foil and Glitter shadow duo. Eyeliner: Kat Von D Trooper Liner. Lashes: Elite Cosmetics # 18. Eyebrow Pomade: Anastasia Beverly Hills - Ash Brown. Eyebrow gel: BH Cosmetics - Universal. Anastasia Beverly Hills - Contour Kit & Glow Kit. 1. 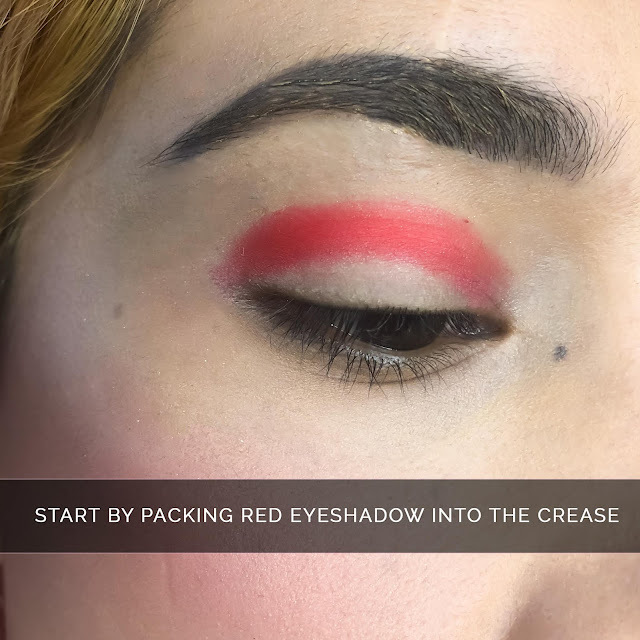 Start by packing red eyeshadow into the crease. 2. 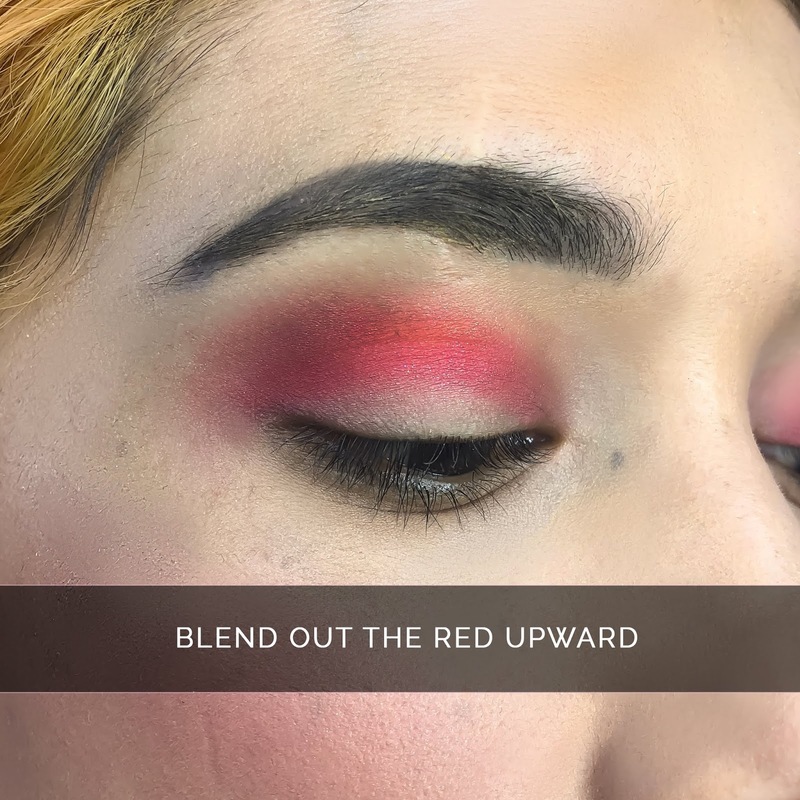 Blend out the red eyeshadow upwards. 3. 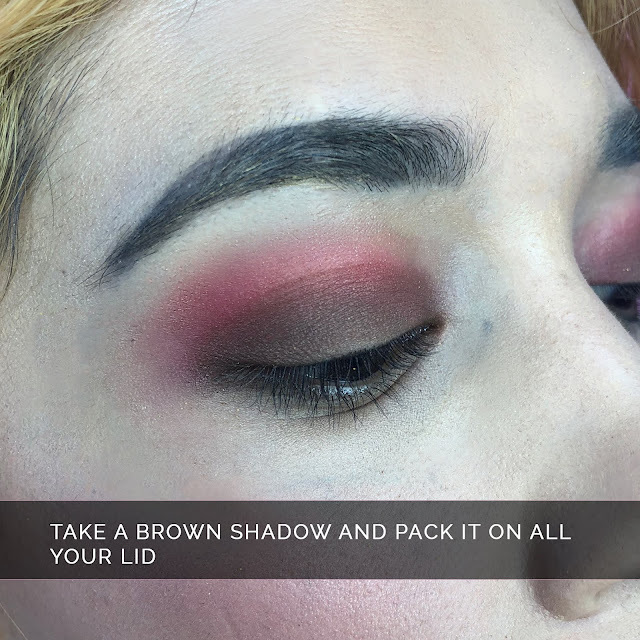 Take a brown eyeshadow and pack it on all your lid. 4. 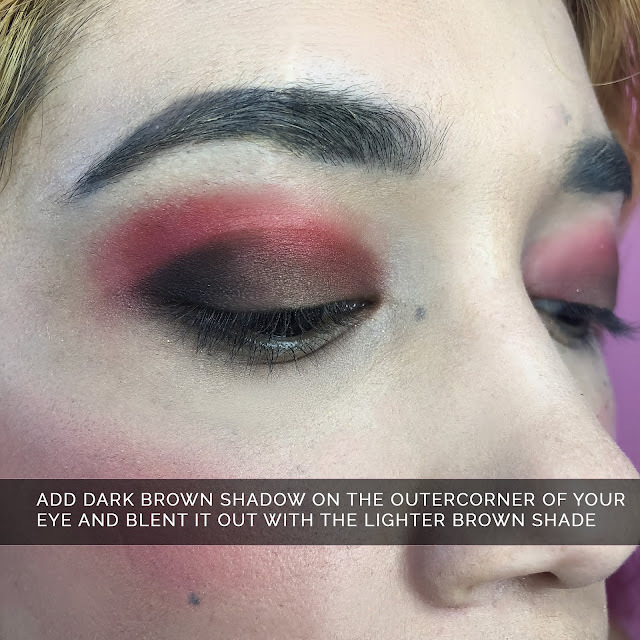 Add a dark brown shadow on the outer-corner of your top lid and blend it out with the lighter brown shade applied before. 5. 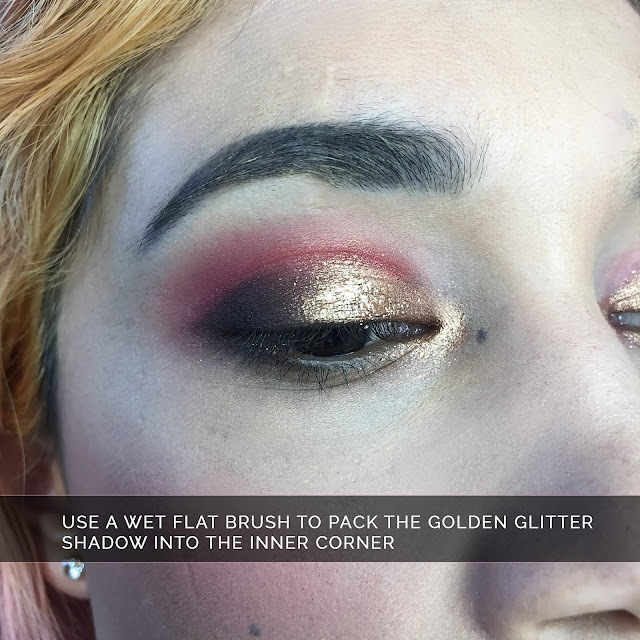 Use a wet flat brush to pack a golden glitter shadow into your inner corner. The wetness helps to pick up more product onto your brush to later pack it on your lid. 6. 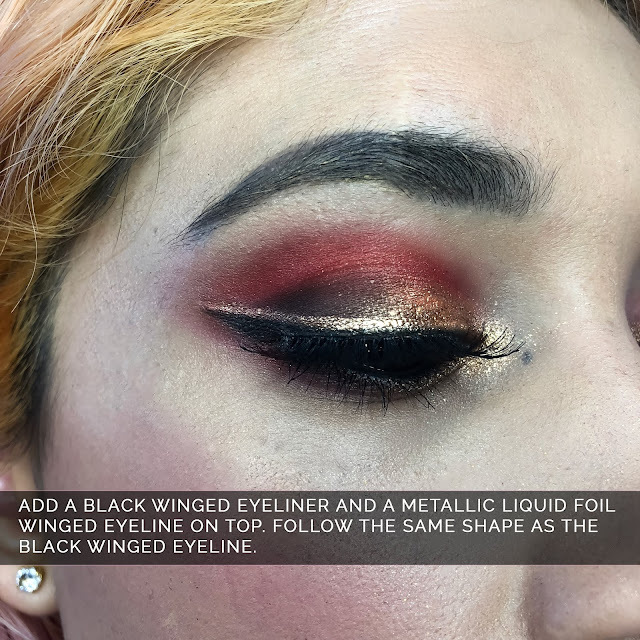 Add a black winged eyeliner and metallic liquid foil winged eyeliner on top. 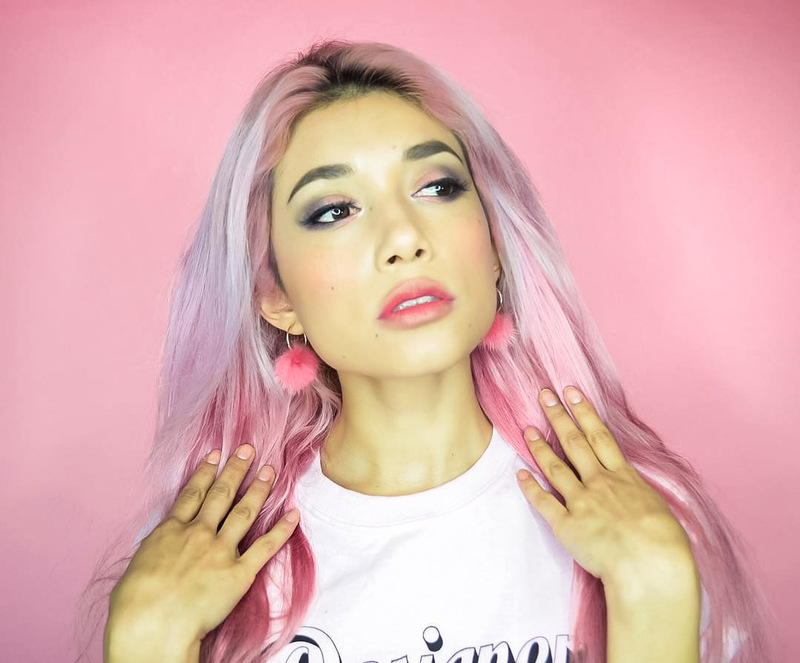 Follow the same shape as the black winged eyeliner. 7. Add brown and red eyeshadow on your lower lash line and apply lashes and mascara. Perfect to match with black, red and brown clothes/looks.